Great! My visit has me feeling positive again. Thanks Dr. S.
Overall a good experience. Dr.Schell explained the upcoming procedure to me in great details and in an understandable way. One tip: prepare your questions before coming because the meetings are very quick. Dr schell is always great! This doctor is incredible. I’m very, very fortunate to have found him. He performed a procedure on me without any pain and took the time to explain my condition. Dr. Schell has my highest recommendation. Dr. Schell took his time to explain my situation in great detail. He didn't push me into surgical treatments or strong advise I do it. Rather, he suggested a holistic approach of home exercises and possibly some PT to help with a knee problem exacerbated by a tear in my meniscus. My experience was positive. His team was prompt and courteous. 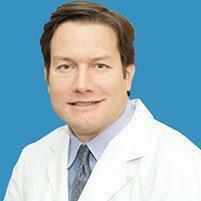 Excellent doctor, very sharp and personable. Dr. Schell listened to my description of the knee pain that had been incapacitating me, showed me the MRI pictures of the problem areas, explained in simple words my condition, and the medical options to make it better right now and in the long run. I have been coming to Riverside Orthopaedics for years now, and I am very pleased with the office staff, the quick availability of appointments, their promptness seeing a patient at the time of the appointment and their excellent, very nice and personable doctors. great experience!! hoping these supports do the trick for my ankle. Loved Dr. Schell! Very attentive and thorough. Explained everything in detailes and made me feel much better . Dr Schell spent time to explain to me the issues with my knee. He was not rushed and explained to me carefully the next steps.